Red jumpsuit made from crepe de chine fabric. It is very light and floaty but not at all see-through. 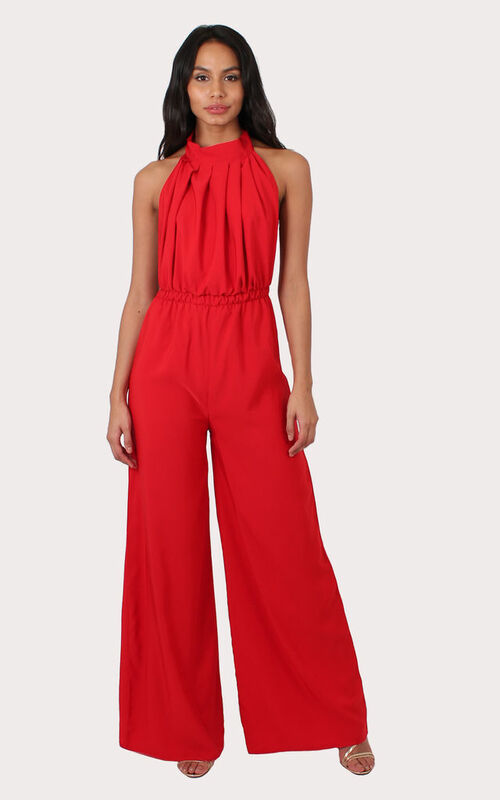 The Maya jumpsuit has wide legs, an elasticated waist, a halter neck tie and is backless. Inside leg 32ins. The super high waist band makes it ideal for ladies 5'8 and over.